For my latest painting I decided to go big. This is paint pen on a 24″ x 30″ canvas panel. A lot of people ask me how I come up with these ideas. To be perfectly honest…I don’t really. Have you ever been driving home and then all of the sudden you get home and you can’t remember getting there? Sort of like auto-pilot, right? Well, creating a painting like this is sort of similar. Generally I’ll start out with a vague idea of what I’m going to be making. I’ll trace out some rough lines in pencil for the basic shapes of everything. Then I pretty much get to sit back and watch the fun. I don’t plan out any details, I don’t worry about what colors to use, I don’t stress over an errant pen mark, I just allow the painting to happen and during that time the painting just allows me to be. Its a very soothing process in which I pretty much get to watch my pen move across the canvas. Most of the time I’m just a surprised at the finished product as the people who view my art. I think a lot of people have experiences like this when they are doing something they are passionate about. I’d love to hear if anyone relates and has a story of their own! I decided to put up one of my paintings for sale today. 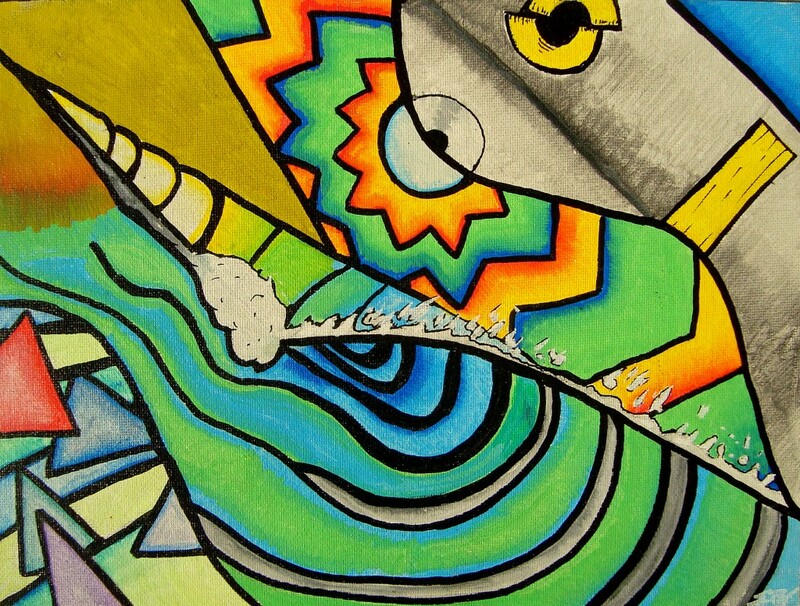 This piece is called “Dawn Patrol.” Its on a 16″ x 20″ canvas panel. I used water-based acrylic paint pens to create this and the original comes ready to hang! Check out the shop on the right! Buy Fine Prints of Seshmaker Art HERE! Hi! Thanks for stopping by Seshmaker.com. The place where I l post things that get my creative juices flowing! Hopefully they'll get yours going too!